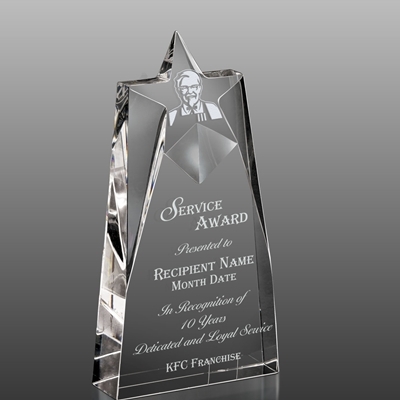 10" Tall Optic Crystal Service and Recognition Award! Allow 2 Weeks for Production. Arrives in rich black velvet Gift Box. Laser Etched. Call 800-331-0989 x 1343 to Order!